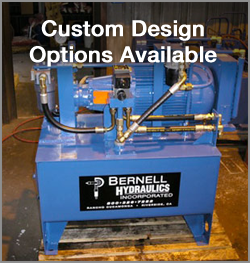 Bernell Hydraulics has been in the hydraulic parts and service business since 1977, and we can help you find just about any type of industrial hoses Rancho Cucamonga CA that you may need for your hydraulic system. We have three fully stocked stores that offer a wide variety of hoses and fittings, so it’s highly likely that we’ll have the products you need in stock. If we don’t, we can easily order them for you and deliver or ship them right to your work site. Even reinforced rubber industrial hoses will fail eventually. But if you take care to choose the best possible industrial hoses Rancho Cucamonga CA that meet all the requirements of your unique system, you can make sure your hoses last as long as possible. During a hose analysis from a Bernell Hydraulics technician, you can get confirmation as to whether or not you’re using the right hoses. We’ll uncover any extra stressors or other factors that might be causing your hose problems and suggest a course of action. For example, we might be able to suggest a hose with a higher temperature rating if your system typically runs hotter than it should. Or we might be able to improve the design of the hose assembly to require fewer twists and turns. In order to fit generic hoses into your hydraulic system, you will have to cut and crimp them and then make sure you have the right thread configurations. But if you invest in custom industrial hoses Rancho Cucamonga CA from Bernell Hydraulics, you can save yourself the time and trouble that these steps take. By allowing our expert machinists to make the necessary modifications to your hoses, you can rest assured that the end result will meet your exact specifications.